Oh so pretty and dramatic is this necklace of amazonite diamond shaped gemstone beads and with brown jasper disc beads. 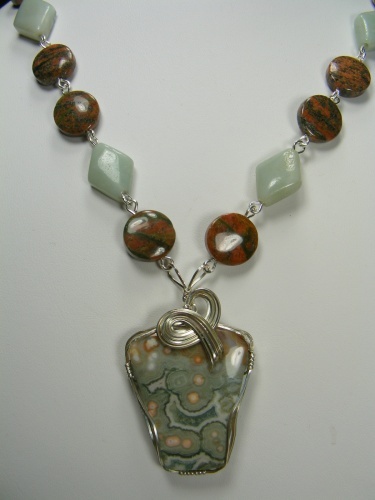 Focal of ocean jasper sculpted with sterling silver curls. Comes with a complimentary pair of matching earrings and has a locking sterling silver clasp. Measures 19" long.